Manakudi is a village located in the Kanyakumari district, Tamil Nadu. Agriculture is the main occupation of this village and is looking for industrial development. The village also has easy transportation. The nearest railway station is in Parangipettai which is 7.1km from Manakudi. Pondicherry Airport is the nearest airport situated at 61.4km. You can find many local bus stations for the travelers' convenience. There are some of the ancient Hindu temples around the village. Pilgrims come from a far distance to visit the temples and get blessings from the powerful gods. Most of the temples are dedicated to Lord Shiva. Hotel Sadhabishegam is built for the pilgrims and travelers' convenience, all the temples are located within driving distances from the hotel. 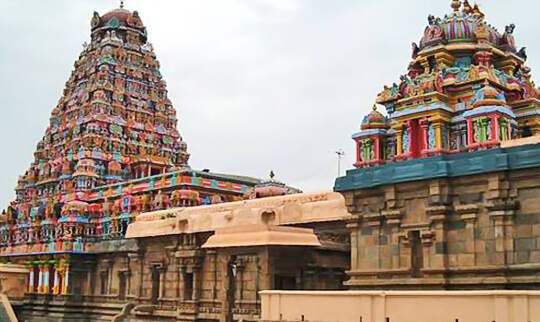 Sundhareshwarar Temple is situated in Neikuppai, Thanjavur district. The temple is dedicated to Lord Shiva as Sundhareshwarar, means Lord of beauty. It is a just 20min drive from Manakudi. Devotees visit this temple to seek fulfillment of wealth, relief from diseases, and to gain knowledge. 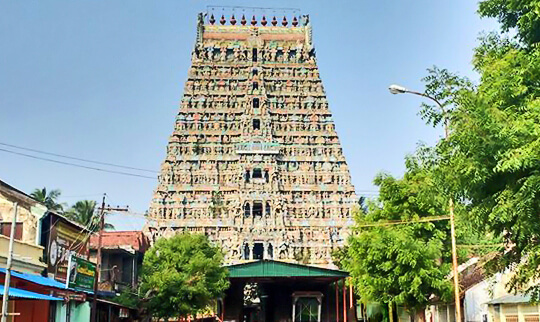 The Gomuktheeswarar Temple is dedicated to God Gomuktheeswarar (Lord Shiva), located in Thiruvavaduthurai. There is a story that Lord Shiva and Goddess Parvathi were playing dice in Kailash. As Lord Shiva was winning every time, Goddess Parvathi grew furious and cursed Shiva to become cow on earth. Devi Parvathi said that the curse would end at this place where she should perform penance. Ambica did penance as a cow here. As the cow got the relief from the curse here, God Shiva is praised as GomuktiEaswarar. The temple is dedicated to Lord Shiva and worshipped in the form of Shivalinga, situated in the town of Thirubuvanam. Sarabamoorthy is the Utsava Murti of the temple. According to legend, Lord Shiva removed Kampa(quaking) of king haunted by Brahmarakshasa. This led to the name of Kambahareswara. The temple was built by King Kulothunga Chola for his victory of North Indian battle. There is a separate shrine for Lord Sarabeswarar (Shiva), a mixture of man, eagle, and lion. 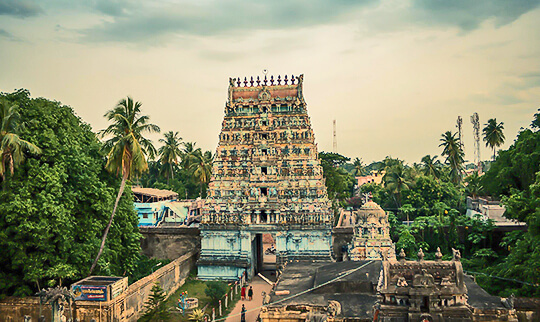 The temple is known as "the big temple of Mayiladuthurai", is dedicated to Lord Shiva. It is located in Nagapattinam District of Tamil Nadu. 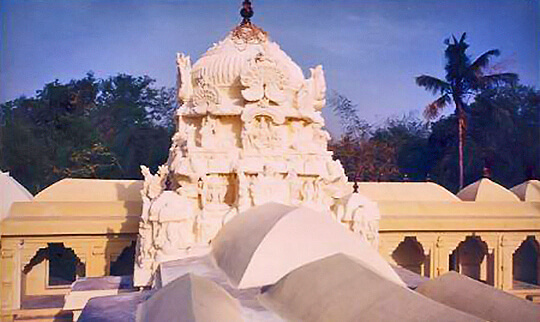 Goddess Parvathi took rebirth in the form of peahen to perform penance, hence the place is known as Mayuram. Lord Shiva is worshipped as Mayuranatha, a husband of Mayuram. People believe that taking bath in the temple pond will vanish all the sins, especially in the month of November-December.